Good Neighbor Insurance provides specialized travel medical insurance to those who are doing motocross training, motocross practicing, and motocross racing. You can read more about what is covered and request a quote by going to our web site at http://www.onlineglobalhealthinsurance.com/motocross-coverage-in-the-usa/. This international medical coverage is specifically geared to cover the motocross rider during training, practicing, and racing outside ones country of citizenship/residence. 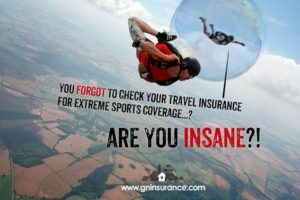 For example, if an Australian citizen is going to the U.S. for motocross racing we can probably cover travel medical insurance for that motocross rider. All of our medical insurance for motocross cover is backed by Lloyd’s of London. We also cover travel medical insurance when not motocrossing as an add-on option to your motocross medical insurance. To learn more about motocross medical insurance for the motocross rider please call the agents at Good Neighbor Insurance at 866-636-9100 or email at info@gninsurance.com. You may also go right to our motocross web site and request a quote. Safe motocross riding and traveling!